Hailing from the east coast, Ian spent his childhood sliding down the icy slopes of the Poconos and going on “nature walks” with his dad. It wasn’t until his early teens, when his family began taking an annual Colorado ski trip, that he realized his natural draw to the mountains. After high school, Ian moved west and began exploring the various ranges of North America on skis and in a harness. 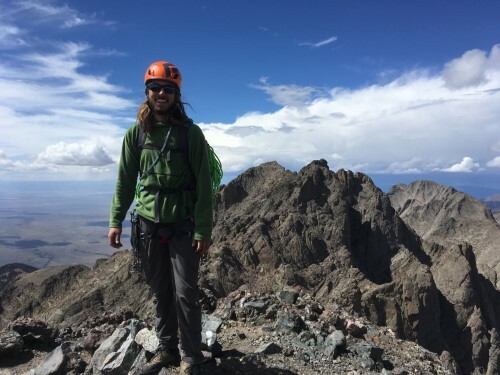 He also found time to earn his degree (after dropping out of school more times than he can count) in outdoor leadership and business administration on the western slope of Colorado. When he’s not playing in the mountains, you can often find Ian creating obscure culinary delicacies in the kitchen or pretending he’s not thinking about being in the mountains.